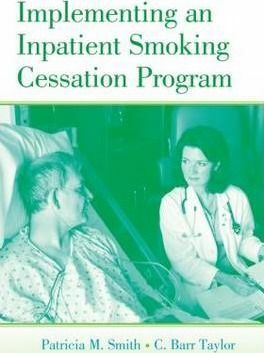 Implementing an Inpatient Smoking Cessation Program serves as a step-by-step manual for implementing a cost-effective tobacco cessation program for hospitalized patients. Based on the Staying Free program, which has evidenced among the highest cessation rates reported in the scientific literature, this book is the result of decades of research by the authors. Although the book reviews a tobacco cessation program, the process is applicable to most behavioral interventions in acute- or long-term care settings. The book details the administrative responsibilities involved in designing, implementing, delivering, evaluating, and maintaining an inpatient tobacco cessation program. Its how-to approach focuses on the skills needed to: determine the work that needs to be done, select the appropriate interventions and providers, pay for and market the program, and create systems to keep the program alive. It provides algorithms for forecasting program enrollment and information on how to budget the program. Readers can then use this information as a blueprint for implementing their own program.